The baby spa term must not new to Moms anymore. In recent years, baby spa services have emerged especially among the urban society. Just look at the social media pages of young Mothers, you will see a lot of photos of their baby enjoying the spa treatment, whether it is a massage or water therapy. Baby spa offers a variety of activities, for both babies and Moms. However, is baby spa really beneficial for the children or is it merely a trend? In its development, spa activities do not include bath treatment only, but also other treatment, such as body massage. Nowadays, spa is not for adults to enjoy only, but also for babies and children. Ideally, spa for children is done under the supervision of a trained therapist. Baby spa usually consists of two types of activities, which are hydrotherapy and baby massage. 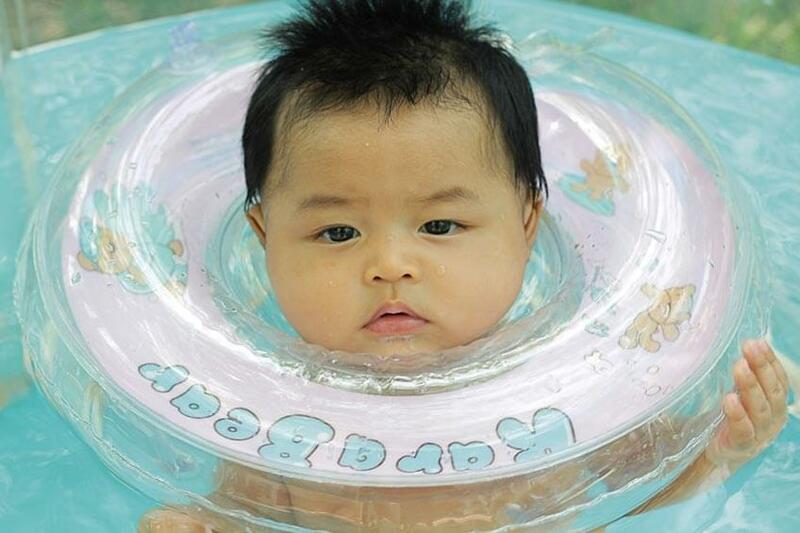 Hydrotherapy is a water therapy, in which the children will swim in the pool using a baby buoy neck. They then can freely move their arms and legs, similar to the state of when they were still in the womb. Experts believe that when children are kicking in the water, the water waves will stimulate them to train their balance and coordination skills. This statement was according to a research in Norway. Not only that, hydrotherapy will also stimulate children’s arm and legs muscles to be stronger. According to a research in Finland, babies undergoing the hydrotherapy are proven to be able to learn walking faster as their legs muscles are more trained compared to those who don’t receive the therapy. Water therapy also makes the children to relax, increase their appetite, and improve their sleep patterns. Result of a study from Germany shows that babies who are often swimming have better motor, social and cognitive skills. Increasing Body Weight. According to a study Field TM, giving a massage to premature babies shows a body weight increase each day, as much as 47 percent higher than babies without the stimulation. Baby massage can affect on increased activity of the vagus nerve system and the stomach movement which causes a more efficient nutrients absorption. Improving Sleep Patterns. Massage can make the baby to relax, not easy to cry, and falling asleep easily. A study towards premature babies who get massage until the age of 8 months showed that the baby massage improved their sleeping quality and reduced the frequency of them waking up during bedtime. Tighten the Bonds. Baby massage stimulates the production of oxytocin hormone that can generate the feelings of happiness and being loved. Baby massage can also strengthen the bonds between parents and the children by showing affection through touching and skin ship. So, it can be said that the baby spa has various benefits, namely making the children to relax, increasing their appetite, and tightening the bonds between parents and the children. Occasionally, let your children to enjoy the baby spa. But make sure that the therapy is done under the supervision of an experienced therapist, Moms.